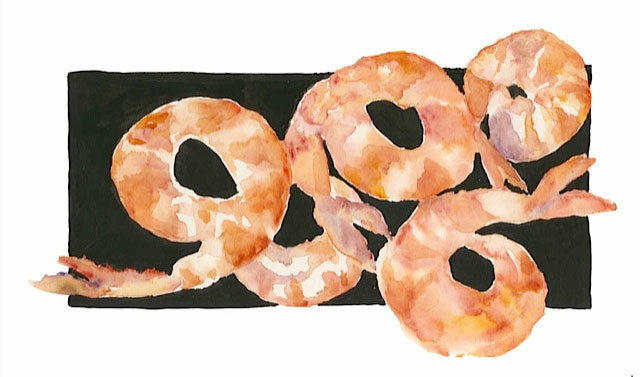 Catering parties and events has been my focus over the past few decades, leading me into culinary watercolors. I wanted to combine artful food presentation with the promotion of my catering business, so I embarked on a project of creating postcards to send to my clients. I’ve gotten a tremendous response from these cards, and often find them in the kitchen when I return to cater an event. 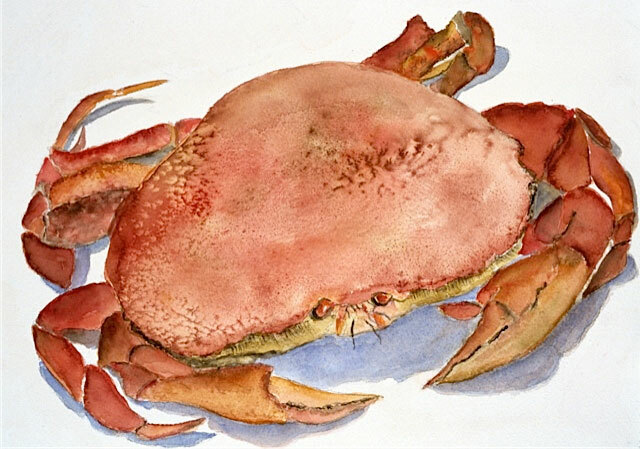 I began studying drawing and painting at San Francisco City College Fort Mason and College of Marin, as well as taking workshops in the South of France and Mendocino coast. Through these classes, I’ve met many wonderful teachers and artists, have expanded my horizons, and broadened my knowledge of art. Watercolor is the media which most speaks to me, and continually surprises with its immediacy. The flow of transparent watercolor and the way colors combine on the paper is truly a visual symphony. Although many people shy away from watercolor saying it’s unforgiving and difficult, I celebrate its spontaneity and expressive qualities. Also, I’ve come to understand the importance of less is more, appreciating the places between colors, like the spaces between notes in music.